The Bahá’í Faith had a larger presence at the annual conference of the American Academy of Religion (AAR) this year than in any previous year. The AAR is the professional association of professors, students, and journalists focusing on religious studies. The four-day annual meeting, held in Boston this year, November 18–21, had some 10,000 to 15,000 attendees, who participated in a number plenary sessions and several thousand panel discussions, seminars, and films. 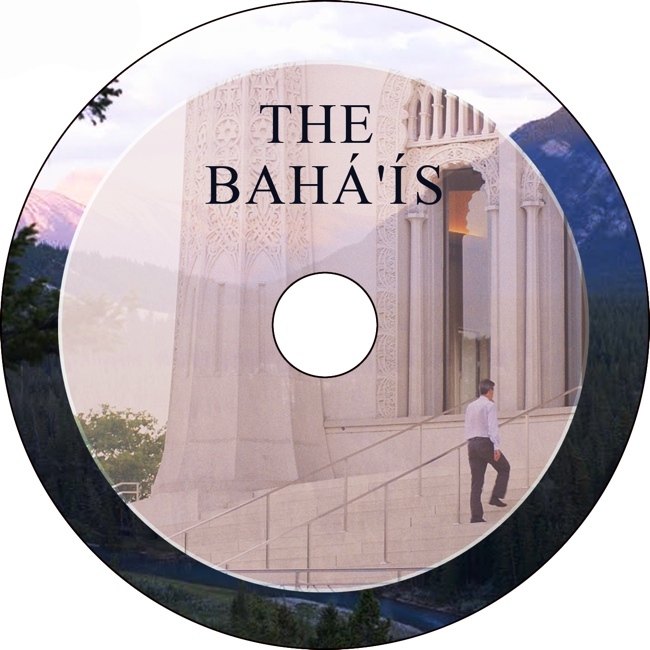 The largest of the several Bahá’í events was the showing of The Bahá’ís, an hour-long documentary about the Bahá’í Faith produced by the Canadian company West Wind Pictures. The producers Clark Donnelly and Mary Darling attended the showing and answered questions afterward. The audience of twenty-six religious studies professors asked extremely difficult and sophisticated questions from feminist, Islamic, anthropological, and theological points of view, leading to a lively and respectful discussion that ran an hour longer than the scheduled two-hour session. The Bahá’ís were encouraged to show at the 2018 AAR conference “Light to the World,” the film that the Universal House of Justice commissioned for the 2017 bicentenary of the birth of the founder of the Bahá’í Faith, Bahá’u’lláh. 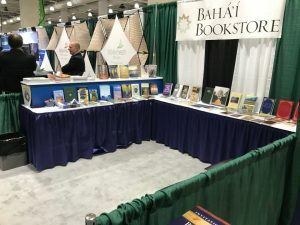 Of particular interest was the Bahá’í book display, sponsored by Bahá’í Publications, in the large exhibit hall where over one hundred publishers displayed tens of thousands of publications and software. Most of the conference attendees walked by the Bahá’í exhibit, and some stopped to ask questions about the Bahá’í Faith, examine the books, or request materials. Fifty copies of The Bahá’ís magazine were given away. Several very valuable conversations about the Wilmette Institute and its efforts to offer Bahá’í courses for credit resulted. Benjamin Schewel’s opening talk on “Religion in an Age of Transition” set the context for the panel. Julia Berger followed with “Towards a New Discourse on Gender Equality: A Study of the Bahá’í Community’s Engagement with the United Nations,” a talk based on her doctoral dissertation focusing on the Bahá’í International Community and its work at the United Nations. Michael Karlberg of Western Washington University then spoke about “Beyond Non-Violent Opposition: The Bahá’í Experience of Constructive Resilience,” which reviewed the Bahá’í approach to social change and contrasted it with existing oppositional models of nonviolent social change. The panel closed with Geoffrey Cameron’s “The Bahá’í Community and Public Policy: The Bahá’í Refugee Resettlement Program (1981–1989),” which described the efforts of the Bahá’í community to resettle Iranian Bahá’í refugees and their interaction with governmental and intergovernmental agencies. A book display and a Bahá’í panel have been held nearly every year since 1986. They are probably two of the reasons why comparative religion books have gradually included more information about the Bahá’í Faith and why the information has gradually become more accurate. Next year’s American Academy of Religion will be held in Denver, Colorado, USA, November 17–20, 2018. The Bahá’í Studies panel will be on the theme of “Constructive Resilience as Faith-Based Nonviolent Activism in the Face of Repression.” It will examine the ways Bahá’í respond to persecution through positive action, as well as the Bahá’í positive approach to social change in societies where the Faith is not persecuted.